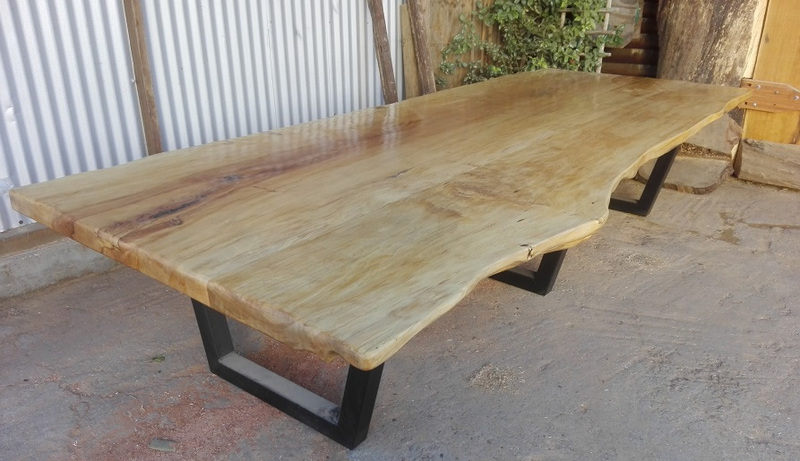 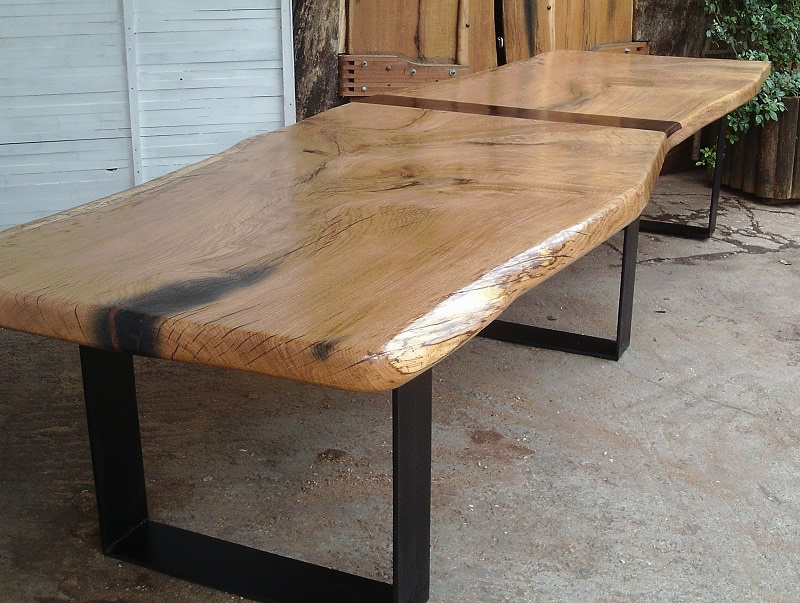 Beautiful wood slabs for sale, including yellowwood, blackwood, hard pear, wild olive and more — buy them either finished or unfinished, stand-alone or fashioned into some beautiful natural edge furniture. 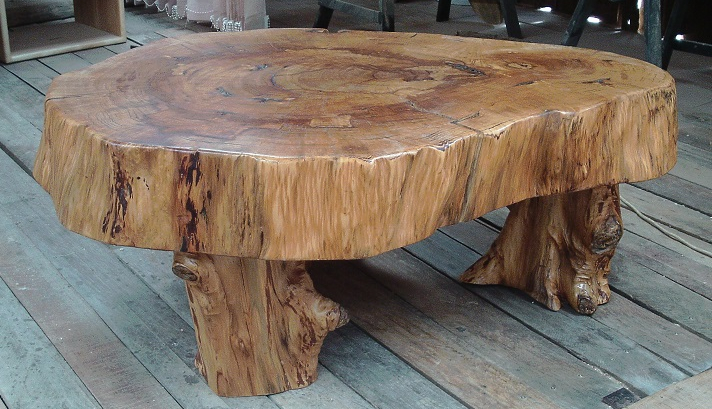 These are available in two basic types: rectangular or disc-shaped. 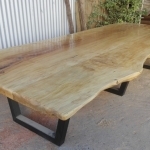 Yellowwood from 3 meters long, 700 mm wide, 75 mm thick. 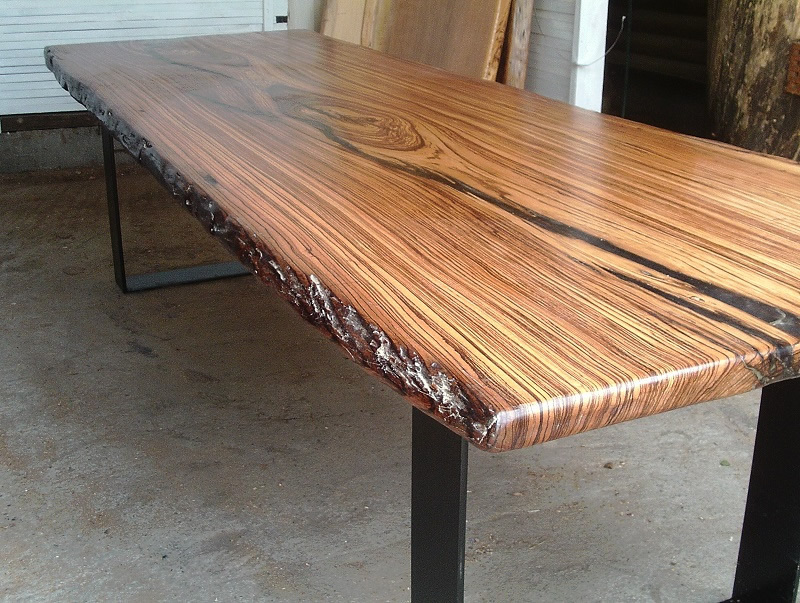 Blackwood from 2.4 meters long, 600 mm wide, 60 mm thick. 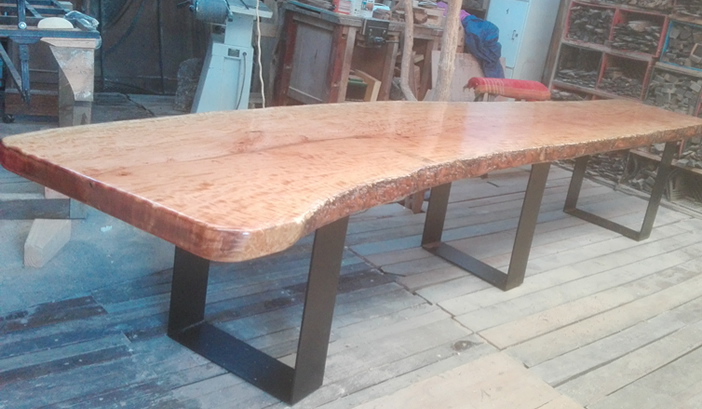 Bubinga from 3 meters long, 500 mm wide, 30 mm thick. 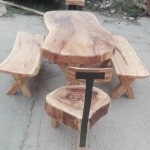 Cedar from up to 3 meters long, 150-450 mm wide, 25/40/50/65 mm thick. Hard Pear from 2.4 meters long, 700 mm wide, 60 mm thick. 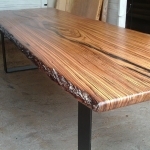 Zebrano from 3 meters long, 1 meter wide, 65 mm thick. 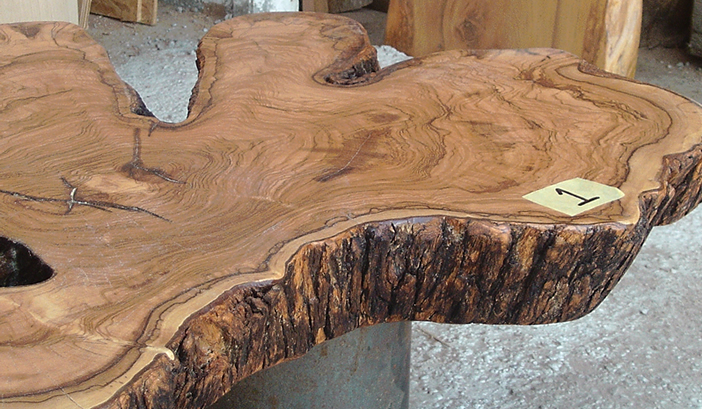 Discs from 950 mm long, 750 mm wide, 80 mm thick. Discs from 920 mm long, 650 mm wide, 160 mm thick. 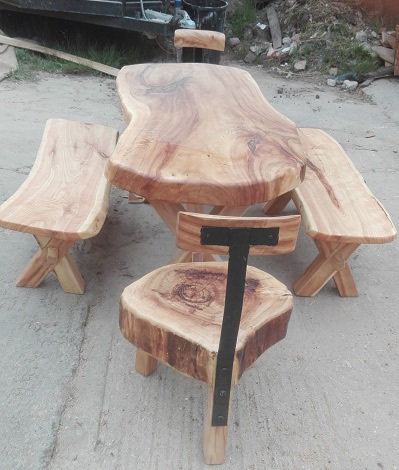 Wood slabs can be bought as-is (finished or unfinished) or alternatively I can fashion them into completed furniture for you, according to your specifications. 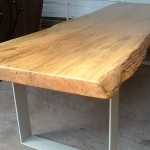 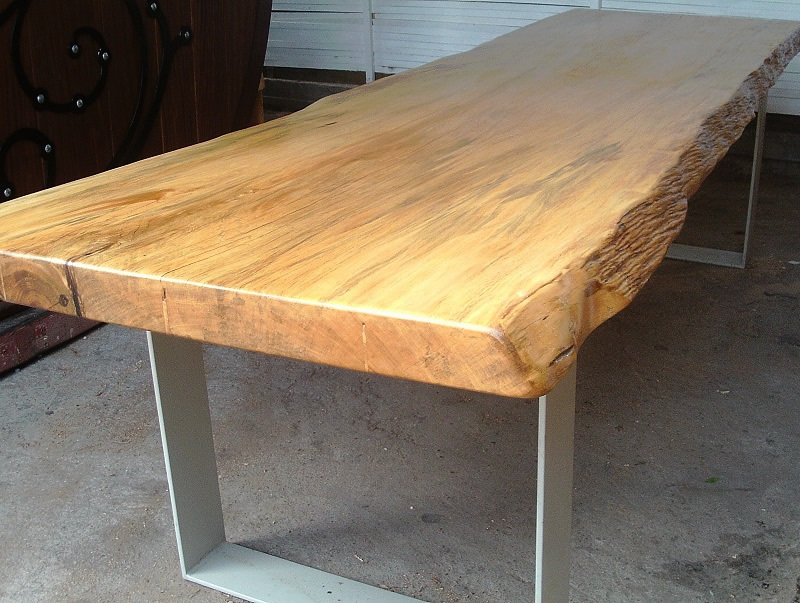 Some beautiful natural edge furniture we’ve created from our slabs. 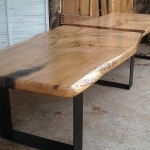 Please contact me for prices, further details and to confirm availability. 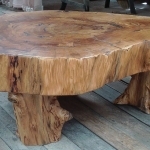 These goods can generally be supplied anywhere.